What are the SoundMagic E11D? 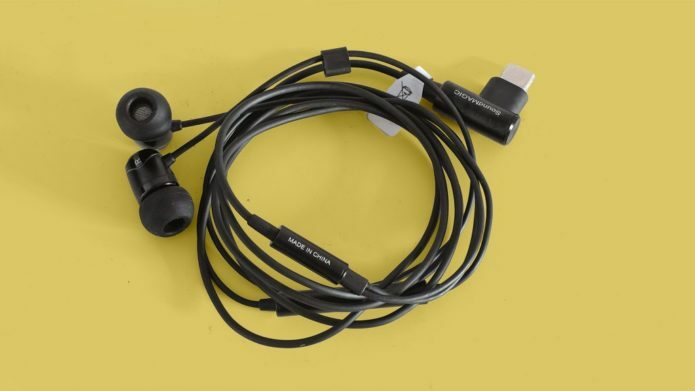 Earphones such as the SoundMagic E11D will become more important as new phones coming onto the market increasingly leave out the 3.5mm headphone jack. The E11D look good and sound good, and since they’re wired units, you don’t have to worry about charging any batteries. USB-C headphones will, for a while at least, also highlight what is most annoying about the shift away from the headphone jack. Headphones and earphones will have to incorporate their own digital-analogue converter, raising prices even though this sort of hardware makes much more sense in a phone than a space-limited pair of earphones.